The World Vyshyvanka Day is an international holiday celebrated to preserve the original folk traditions of making and wearing vyshyvanka – an embroidered shirt in Ukrainian national costume. The holiday is held annually on the third Thursday of May. On this day everyone can join the holiday by wearing vyshyvanka for work, a university, a school, or even a kindergarten. 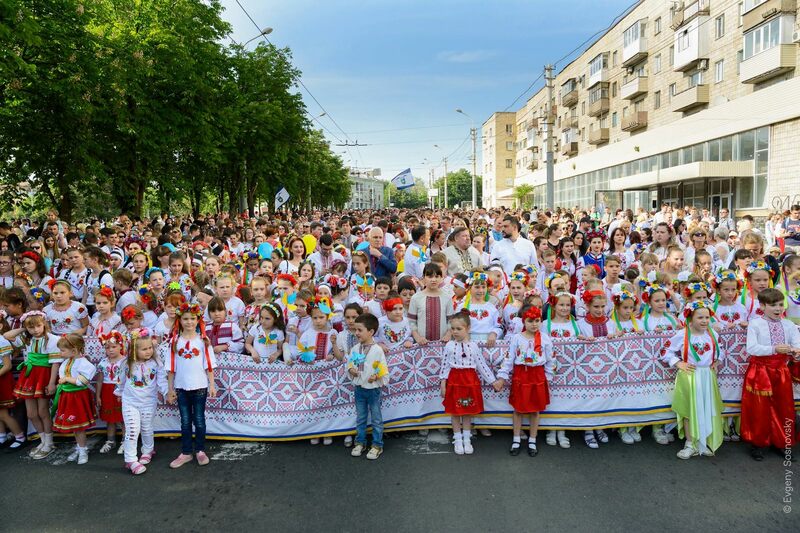 May 17, 2018, in Mariupol, the main events of the World Vyshyvanka Day were held in the City Garden. Photos by: Evgeny Sosnovsky. Dilove is a village with a population of about 2,500 people located in the Rakhiv district of the Zakarpattia region, 190 km from Uzhhorod and 140 km from Ivano-Frankivsk, 50 km from the border with Romania. The main attraction of the village is the Church of the Nativity of the Blessed Virgin (1750) – a unique monument of folk wooden architecture and a true national cultural treasure. Photos by: Maxim Ritus. 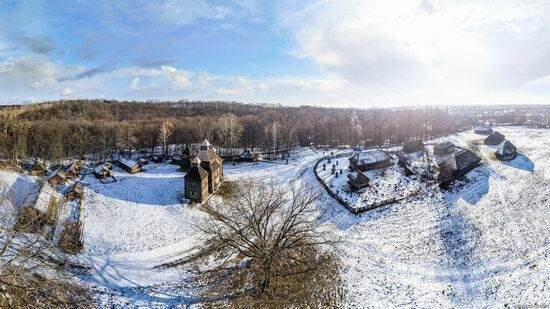 Pyrohiv (also known as Pirogovo) is one of the most famous open-air museums in Ukraine located on the outskirts of Kyiv. 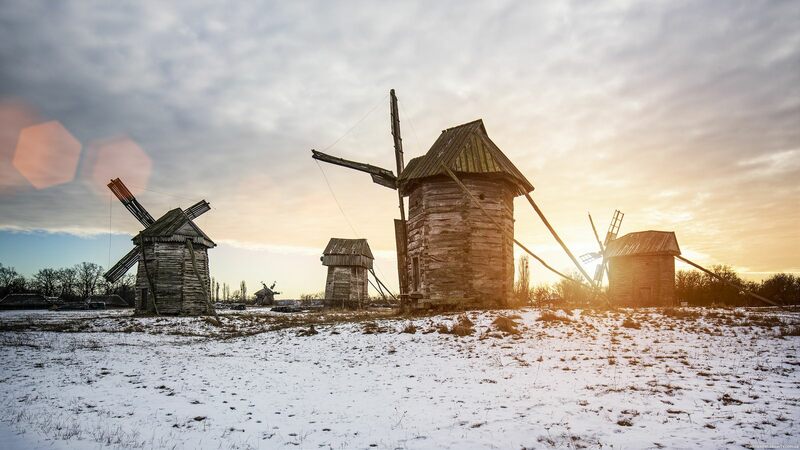 It provides a unique opportunity to get acquainted with all ethnographic regions of Ukraine. Podnіprovya or Naddnіpryanschina is a historical and geographic region located on the left and right sides of the Dnieper River as well as adjacent land along its major tributaries (the Pripyat, Desna). Photos by: Maxim Ritus. Podillya is a historical and geographical region located in the west and south-west of Ukraine, in the area of the northern tributaries of the middle Dniester and the upper Southern Buh. 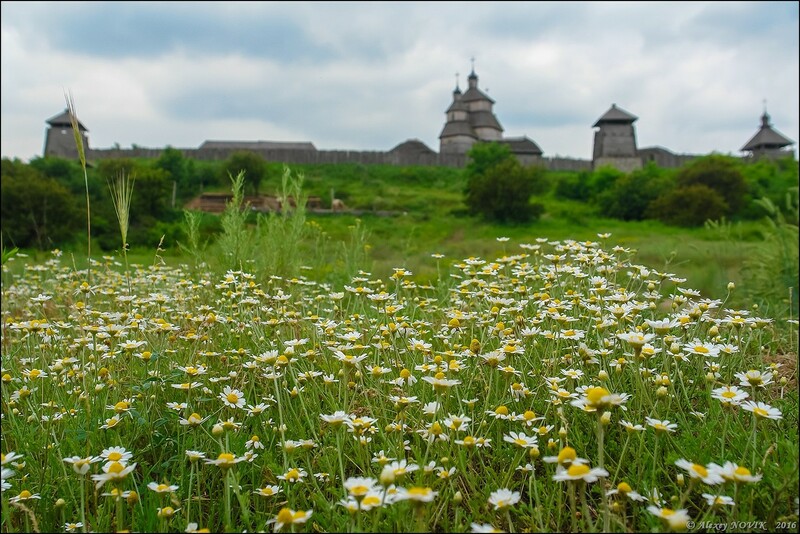 Podillya covers several regions of present Ukraine with such cities as Kamianets-Podilskyi, Khmelnytskyi, Vinnytsia. Sapohiv is a small village with a population of about 800 people located in the central part of Borshchiv district in the Ternopil region. For the first time the village was mentioned in 1564. 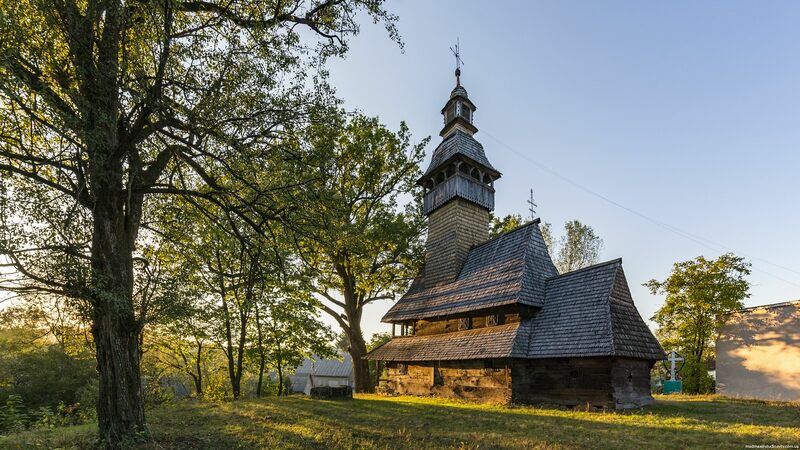 The main attraction of Sapohiv is a beautiful wooden church named after St. Nicholas. 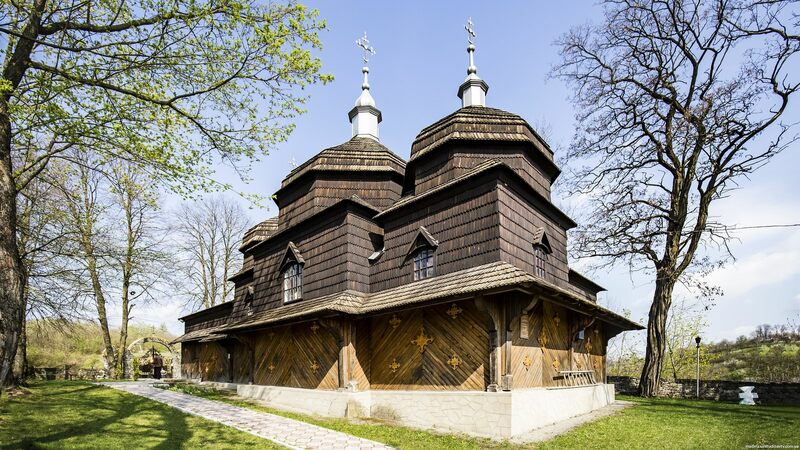 This masterpiece of Podolia folk wooden architecture was built on a hill overlooking the village in 1777. Sapohiv on Google Maps. Photos by: Maxim Ritus. Church of St. Nicholas (1470) in the village of Kolodne in Tyachiv district of the Zakarpattia region is the oldest monument of wooden church building in Ukraine. 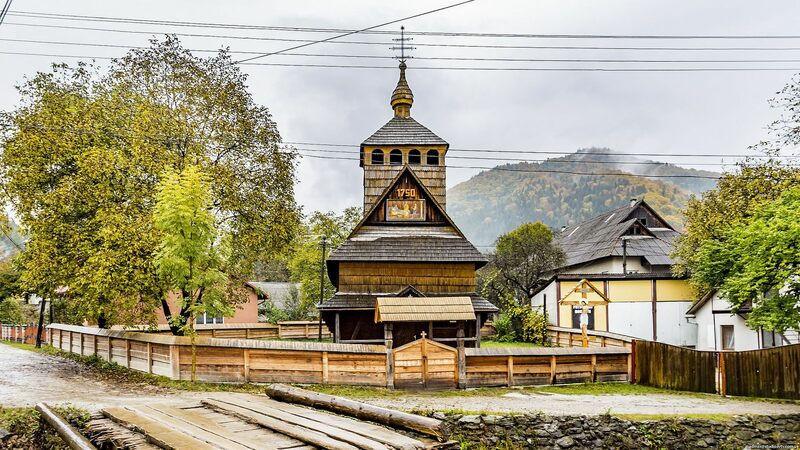 The church stands on a small hill in the village center, near the intersection of the main street and a mountain stream. 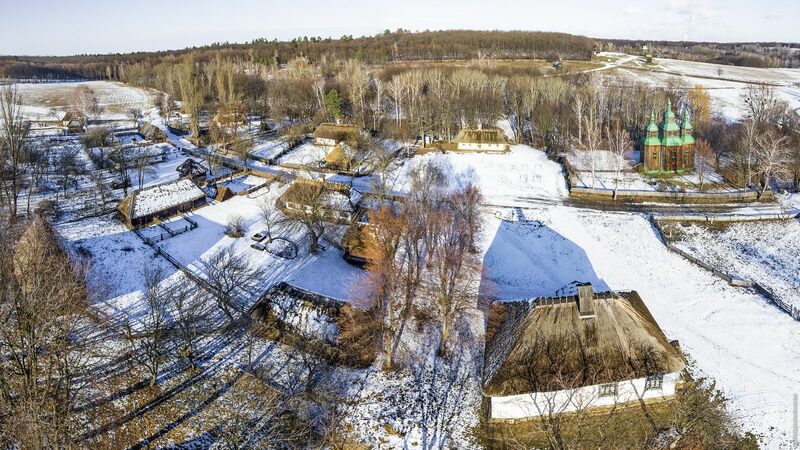 The Historical and Cultural Complex “Zaporizhia Sich”, located in the north-east of the island of Khortytsia in Zaporizhia, is a reconstruction of the Cossack fortress of the 16th-18th centuries, recreating the image of the Cossack capital and the atmosphere of the time. 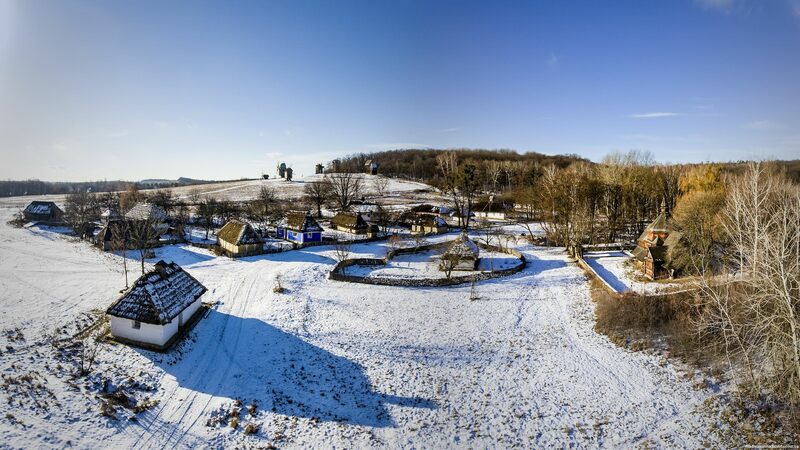 This picturesque town-museum, officially opened in 2009, harmoniously blended into the surrounding natural landscape and became one of the most interesting attractions of the city. Zaporizhia Sich on Google Maps. Photos by: Alexey Novik. In Odessa, on the territory of the plant “Pressmash”, the world’s first monument to Darth Vader was unveiled. 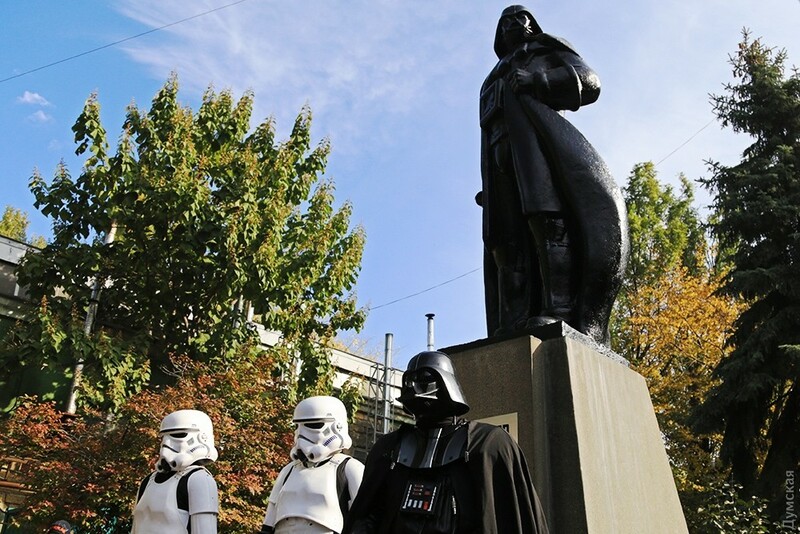 The author of the monument is the local artist Alexander Milov.